Pitta clients are distinguished by their ability to take on their own Ayurvedic care as a project. A typical pitta client will have Ayurvedic food lists on the refrigerator and a special tote bag for their herbs, anupans such as aloe vera and their flask of Brahmi tea. Pitta needs to feel empowered. Thus it can be good to encourage your pitta clients to create a home pharmacy of herbs and mixtures they can use at their discretion. This article can be used as a handout to help pitta in creating and making the most of their home pharmacy. For maximum shelf life the herbs in the home pharmacy should be stored in screw top glass jars and kept in a cool, dark place. The value of Amlaki in a home pharmacy goes for beyond its standard use to cleanse the colon and remove excess pitta from the system. A woman with discoid lupus, characterised by lesions on the skin of the face, relies on Amlaki to aid cellular regeneration and act as an antioxidant. Another, eight months pregnant and afflicted with hyperacidity, found that a small pinch of Amlaki taken at the onset of symptoms provided welcome relief. In cases of pitta hypoglycaemia, a similar small pinch of Amlaki can bring instant calming of troublesome symptoms such as dizziness, irritability and excess hunger. Due to astringent taste, a pinch size dose of Amlaki will bind the stool, even though a larger amount will act as a laxative. Thus Amlaki is also valuable for pitta stomach upsets with loose bowels. Amlaki is also an ideal hair rinse for pitta, said to strengthen hair roots and reduce such pitta manifestations as early greying and balding. Funnily enough, some pitta individuals actually crave the bitter taste provided by Mahasudarshan. As an important addition to a home pharmacy, Mahasudarshan can be used as a flu preventative after exposure, to disperse toxins after a fever has gone down, and to help the liver after toxic chemical exposure or accidental ingestion of a food allergen. It will help with acne, boils and rashes and can be valuable during allergy season. For the chemical sensitive individual with multiple food allergies, knowing how to use Mahasudarshan can make the difference between a functional life and one dominated by bizarre and disabling symptoms. For pitta people who crave breads and sugar, a half teaspoon of Mahasudarshan mixed in honey and taken before breakfast can greatly alleviate these cravings. Every pitta--especially every pitta woman--should be taught how to prepare Shatavari Kalpa. Roast an ounce of Shatavari with one or two tablespoons ghee in a cast iron pan until light brown and add two tablespoons of sucanat, rapadura or turbinado sugar, two pinches saffron and a pinch of cardamom. A teaspoon of this recipe can be taken in the morning to prevent attacks of hypoglycaemia or other tikshnagni manifestations. Shatavari Kalpa is also beneficial to regulate menstruation as well as for daily use in pregnancy and during menopause. Thus Shatavari Kalpa is an excellent all round home remedy for the pitta woman. Coriander of course features in cumin, coriander and fennel tea, valuable for pitta stomach upsets and urinary problems. Pitta will also appreciate cool coriander and sandalwood tea for cystitis and burning urination. For pitta fevers, mild heatstroke, hot flashes or during heat waves, pitta can enjoy room temperature coriander and rose tea. Coriander seeds can also be crushed or ground and added to a lassi or takram--two tablespoons of yoghurt, a cup of pure water, a teaspoon of ground coriander seeds and a pinch or two of rose petal powder will make delicious drink to aid digestion and absorption for pitta individuals. To make a pleasantly bitter and pitta soothing coffee substitute, pitta can roast and grind coriander seeds and then steep them in hot water. "Take a cup of fennel tea and call me in the morning" is a phrase that is useful for an acute--non life-threatening-- pitta problem such as acute indigestion, glossitis, stomatitis or cystitis. 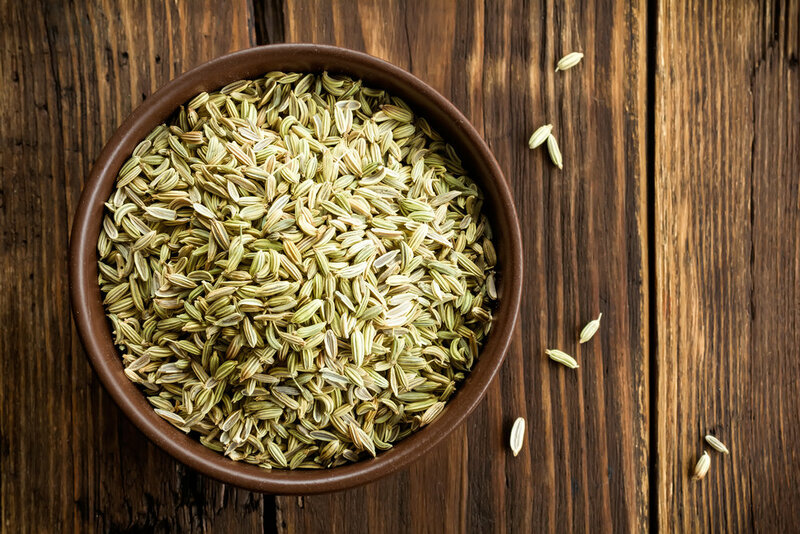 Fennel is extremely soothing in pitta inflammatory conditions and so forms a key part of the pitta home pharmacy. It can also be combined with liquorice to make a wonderfully pitta soothing beverage. As long as your pitta client does not have hypertension, liquorice will be an invaluable addition to their home pharmacy. Licorice tea soothes hyperacidity and pre-ulcer conditions--in fact liquorice is the basis of the ulcer medicine, Tagomet. Licorice can also be used during flu season and allergy season to ease annoying persistent coughs and pitta tonsillitis. Clients with brittle or thinning hair should add a cup of liquorice tea to their daily routine, as should those who complain of issues with eyesight. Pitta women can douche with liquorice tea, or better still a combination of liquorice, turmeric and Triphala, as a home remedy for vaginal irritations or yeast infections. An all too frequent occurrence in the life of any pitta-provoked person are those days when one 'gets out of bed on the wrong side,' waking irritable, moody and upset. Brahmi is essential in the life of a modern, stressed-out, over achieving pitta. A morning cup of Brahmi tea can turn the moody day around, bringing greater tranquillity and ease, as well as ensuring a sharper mind and better day's work. Brahmi can also be combined with tulsi for a soothing drink to promote calmness and clarity of mind and enhance meditation. A favourite ingredient in many summer cooling drinks, Hibiscus is a good ally for pitta. In spring, a rehydrating drink can be prepared using Hibiscus and fresh dandelion roots from the garden. Simmer 10 washed and pesticide free dandelion roots in one gallon of pure water for four hours. Remove from the heat and add one cup organic hibiscus flower powder. Let the hibiscus steep as the mixture cools. Add some lemon juice and lemon zest, sweeten to taste with honey or maple syrup and drink for electrolyte balance. For a summer cooler, 1 quart spring water, one quarter cup hibiscus, one eighth cup organic rose petal powder, brew as a sun tea, add one tablespoon of Aloe Vera juice to each cup. For a good emenogogue for pitta, use hibiscus tea with a small amount of cinnamon. For cystits, make hibiscus tea with added sandalwood powder. Used in several of the teas mentioned above, sandalwood powder is invaluable for pitta. Pitta can also mix sandalwood powder into a paste to use for headaches, shin irritations or acne. A bottle of sandalwood oil is also very helpful in the pitta pharmacy. Applied on the forehead, it is helpful for pitta headaches and fevers, while a drop on the navel can calm a pitta tantrum. Organic rose petal powder is also used in several of the teas mentioned here. It can be mixed with goats milk (or powdered goats milk) to maker a facial for pitta skin. On summer nights, pitta can stir a teaspoon of rose powder into their bedtime warm milk. Alakananda Ma M.B., B.S. (Lond.) is a Certified Ayurvedic Doctor (NAMA) and graduate of a top London medical school. She is co-founder of Alandi Ayurveda Clinic and Alandi Ayurveda Gurukula in Boulder Colorado, as well as a spiritual mother, teacher, flower essence maker and storyteller. Alakananda is a well known and highly respected practitioner in the Ayurveda community both nationally and internationally.